Here is a break down of the Tropical Landscape Supply areas as groups, and the associated palms that will perfectly match that placement. This will make it easy for you to have a listing of possible palms to choose from, thus enhancing better planning for your backyard paradise. Plant groups of palms of any of these varieties very close together: Pygmy Date, Christmas tree, Coconut, Foxtail, Bottle palm, or Spindle palm. As the palms grow, they will slightly arch the trunks apart and narrow closer at the leaves. Use this for centerpiece grouping to make a dramatic statement and focal point. All these are single trunk varieties. These trees can be planted around your yard to screen the view. They are generally clumping varieties that have several trees at different heights. The leaves at varying levels then make the screening and may be used along the wall, between houses and around a swimming pool. The varieties are Butterfly/Areca palm, Bamboo palm, Lipstick palm, Lady Palms, Blue needle, or Fishtail. Why buy from A Quality Plant? We are a huge Tropical Landscape Supply wholesaler and nursery located in Florida with customers throughout the United States. Whether you are making your order from within the United States, Mexico or Canada-- ordering a few trees for your garden or numerous for commercial projects-- we deliver it all with confidence you will not be disappointed. 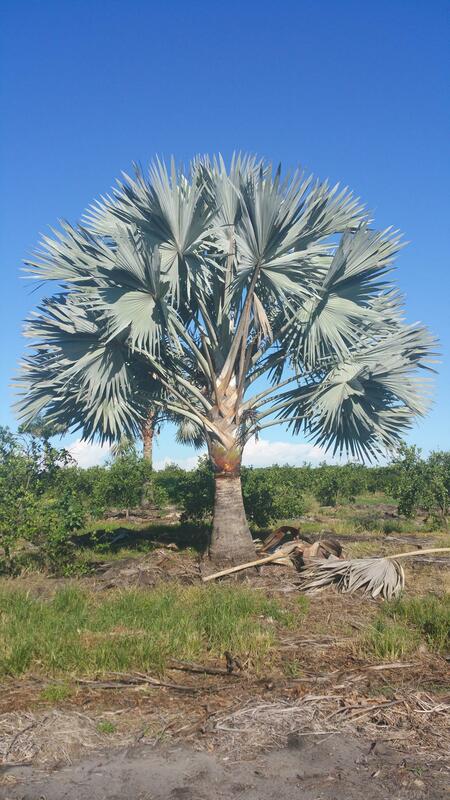 Being a wholesale palm distributor with our own nursery, you can be assured of discounted prices you won’t get anywhere else.